My Impressions: Simon Says Stamp We're Having a Baby! 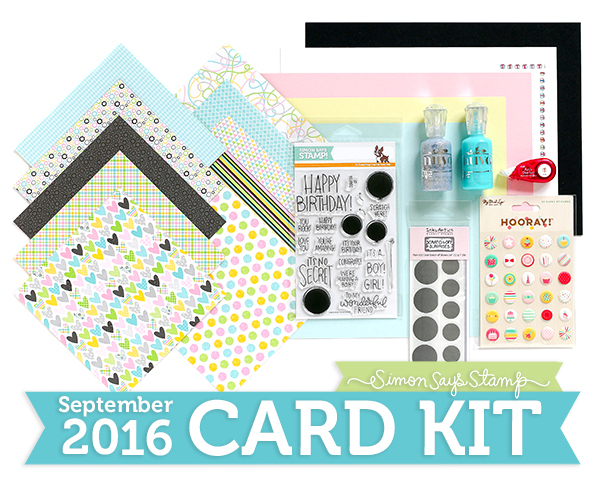 Card (& September Card Kit Giveaway)! So cute! I love the pretty patterns. Adorable card!! Really love the wave scallop at the top!! Just love this kit, it has lovely papers and such a cute idea for scratchies!!!! If you are in fact expecting, congrats. If not, hopefully your daughter knew it before she scratched off the dot. Cute card either way. 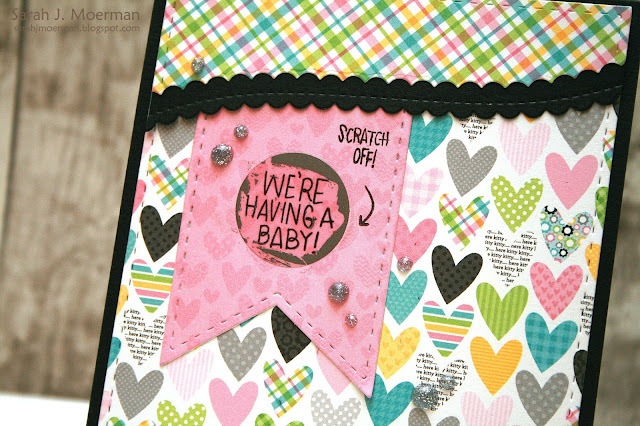 Such a nice card :-) this scratch thing is a stunning idea. Are congratulations in order??? Very cute card, and I like those papers, too! Adorable card, Sarah! I love the scratch offs and I love those papers, too. Those scratch offs sure add a fun element to cards. Your card is wonderful. Your card is so cute. Using those scratch off circles create such a fun and interactive card. Thanks for sharing. This is such a fun card kit....perfect for making cards for children. I LOVE the design of your card. This kit has so many wonderful items. I really love this sweet baby card. Tha is an adorable card. A sweet kit for sure. 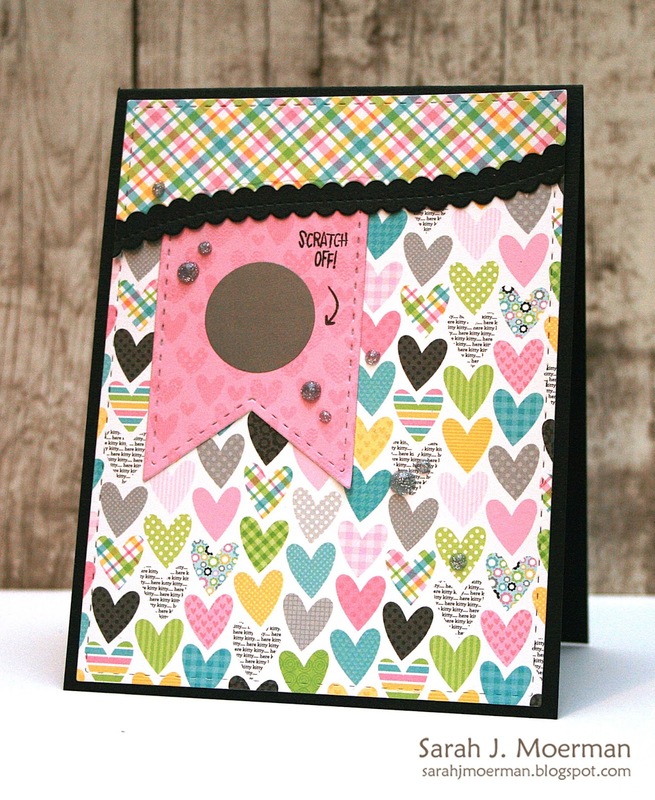 What a great way to have a "reveal" ... love this card and the card kit. 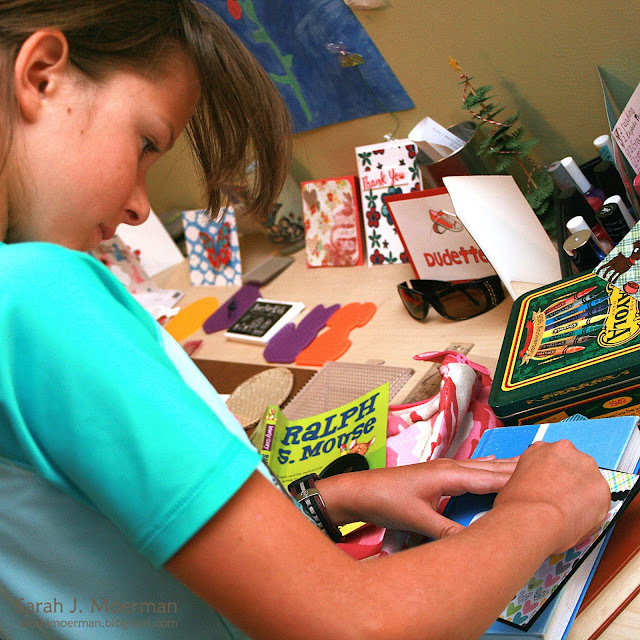 Love the concentration on your daughters face - shows these cards will be fun to receive. I love the interactive scratch off sticker! Lots of possibilities for fun cards. This is such a sweet card!! The patterned paper fits perfectly! Wonderful creativity with the suspense of the scratch circle. Fun card design!!! I liked the last one that you did (circle ones) but this one is so adorable! I really like the hearts and of course the scratch sticker! Such a cute and adorable card, Sarah. September is the best month for birthdays! Oh! That is so cute and happy! I love the scratch off stickers because I would never get around to making my own. Oh my, what a cute way to share such happy news!! So, is it true? Love the "scratch off" ! Never seen that before. 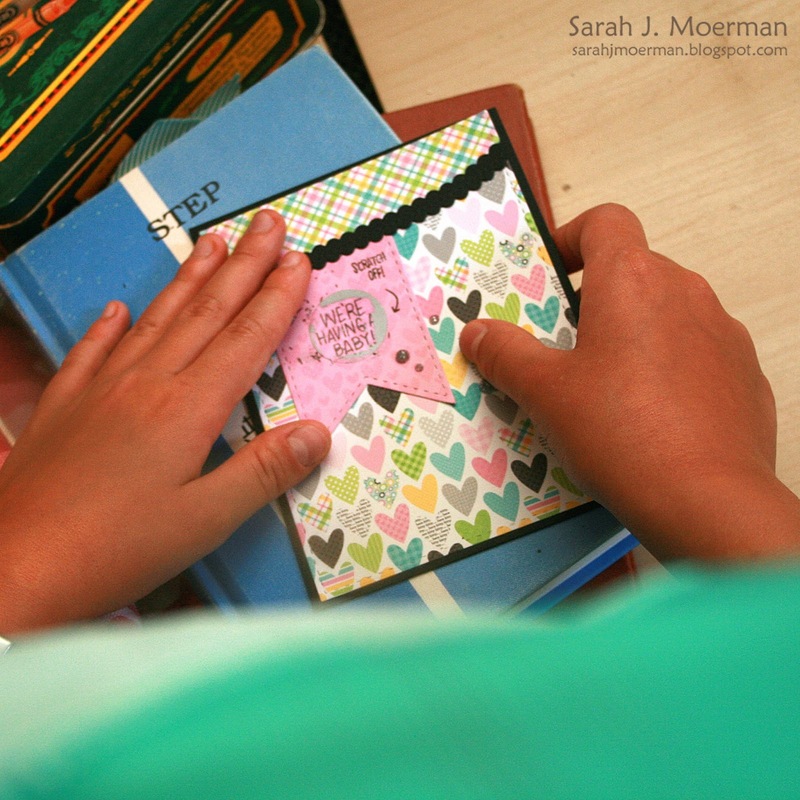 Your card is beautiful, the way you used the patterned papers is so very pretty!